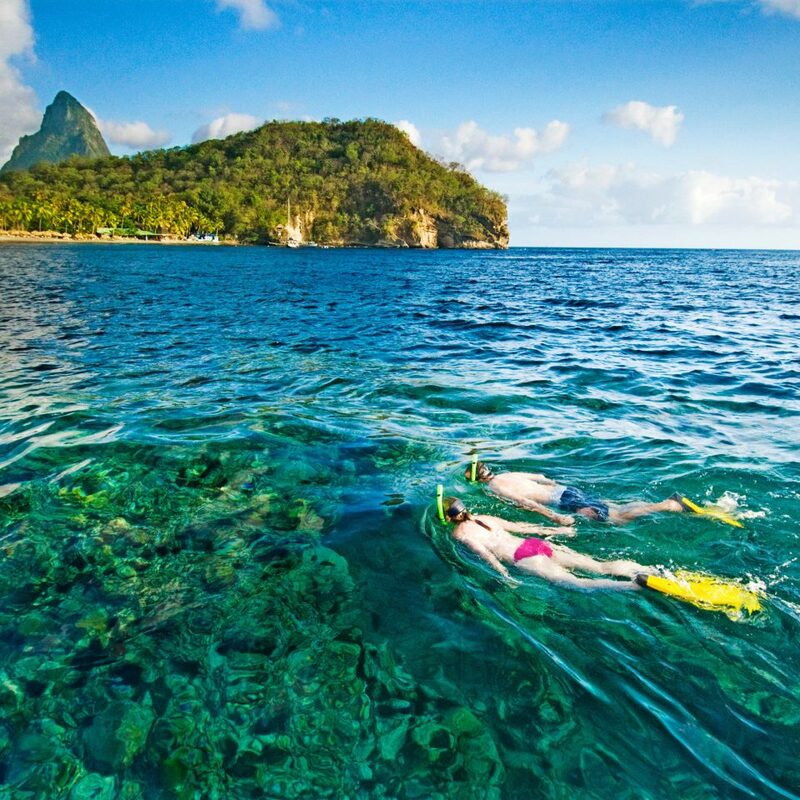 St. Lucia’s southwest coast has remained largely unspoiled, mostly because its beaches lie in the shadow of cliffs. 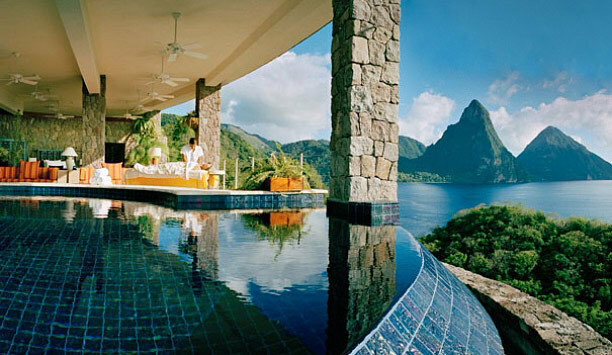 But it was here that architect Nick Troubetzkoy and his wife Karolin built their 28-suite boutique resort, carved into the highest point of their 600-acre Anse Chastanet, offering guests incredible views of the island’s iconic twin Pitons. The look is vibrant and craftsy, with lots of wood, clay tiles and tropical colors, from bedspreads to table settings. “Sanctuaries,” as the resort’s rooms are known, offer little in the way of mod cons — you won’t find phones or televisions here. The focus instead is on the incredible view, which is easy to take in given rooms’ open floor plan (meaning there’s no wall on one side). 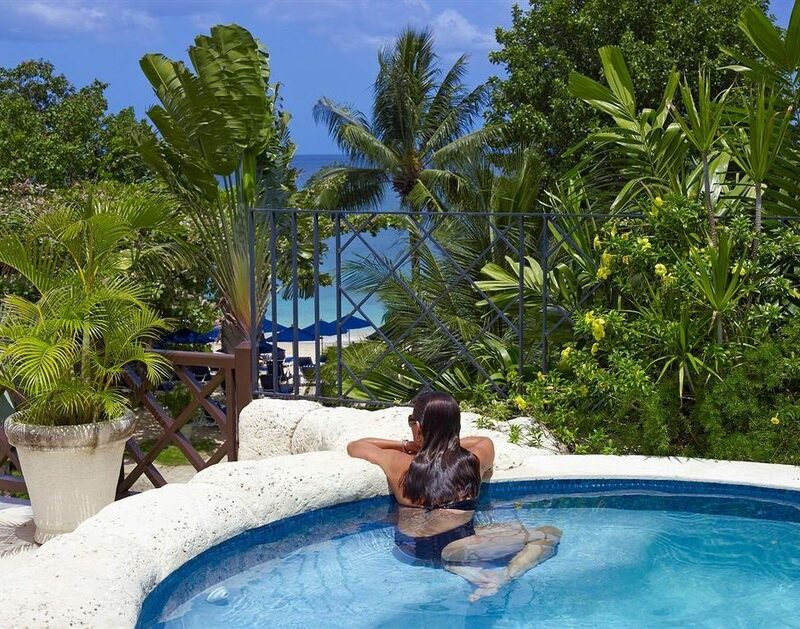 Take in the scenery from your private infinity pool (in Star and Moon Sanctuaries) or from the whirlpool tub in the bathroom. 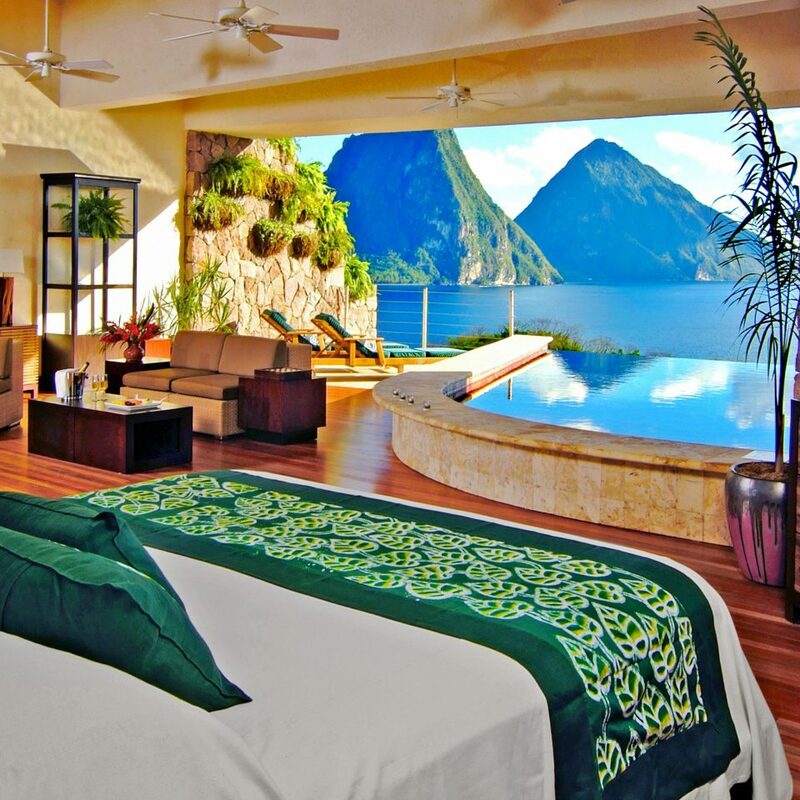 Your major domo (Jade Mountain’s term for a personal concierge) is available 24/7 to help arrange everything from car rentals to room service. 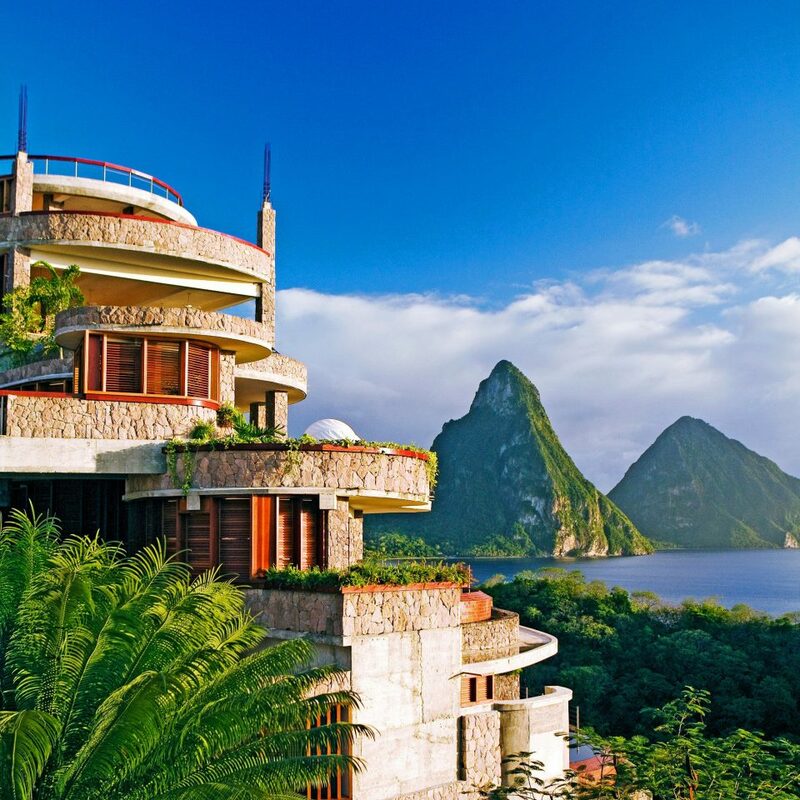 James Beard Award-winning chef Allen Susser likens the food at Jade Mountain to “a tropical vacation on a plate,” and the menu features such dishes as cinnamon-roasted mahi-mahi with blue crab couscous. Room service at the hotel is far from standard — the culinary team can prepare a six-course menu with wine pairings upon request. For further pampering, check into the Kai en Ciel Spa for soothing treatments, including their Wosh Cho hot stone massage. 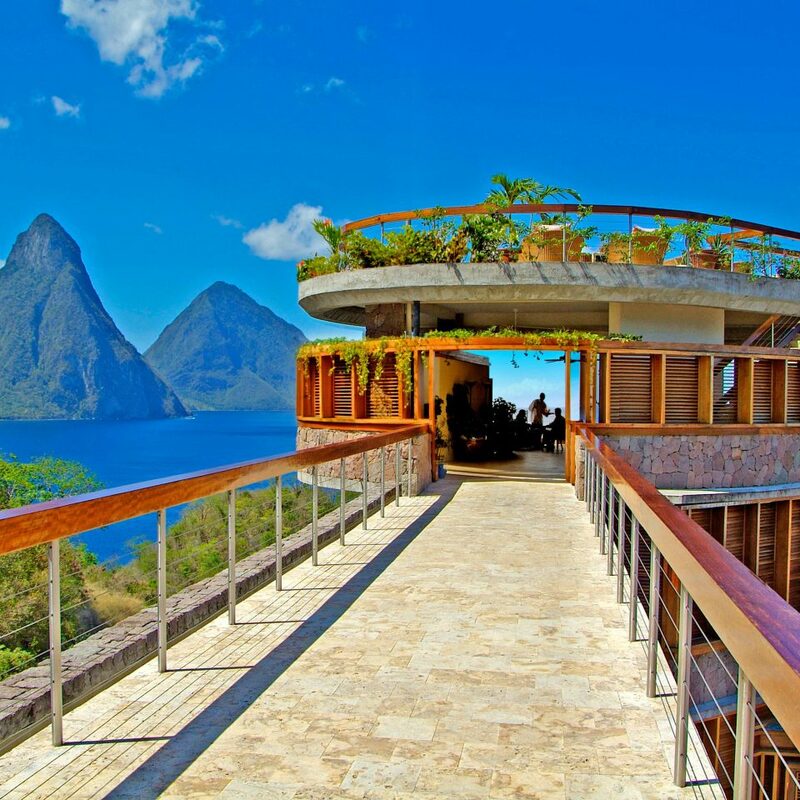 Jade Mountain offers plenty to keep foodies happy. 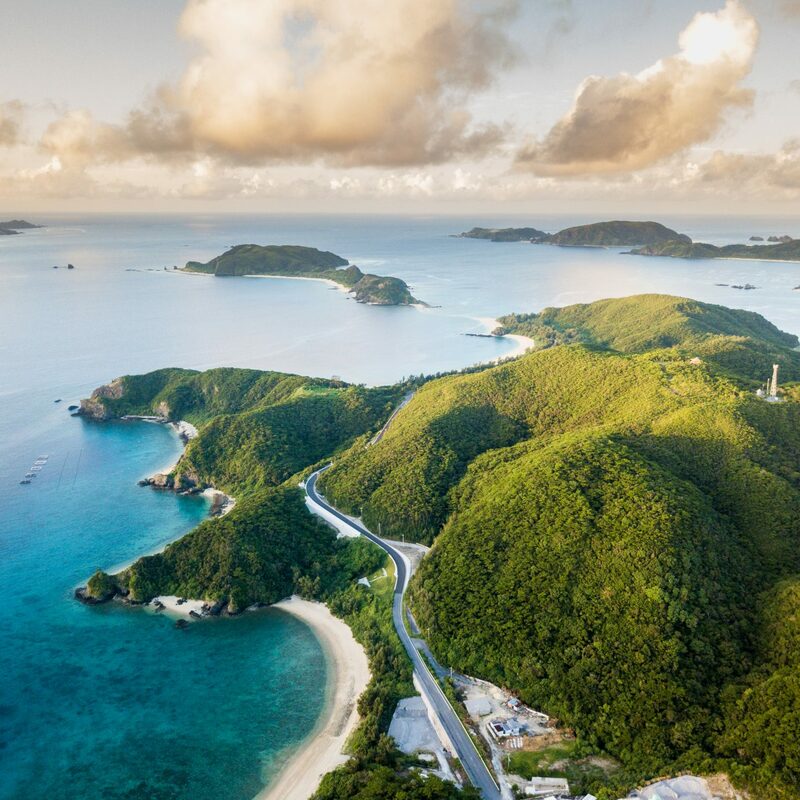 There are rum tastings at the old colonial plantation of Anse Mamin, as well as tours of the resort’s organic farm followed by a cooking class. 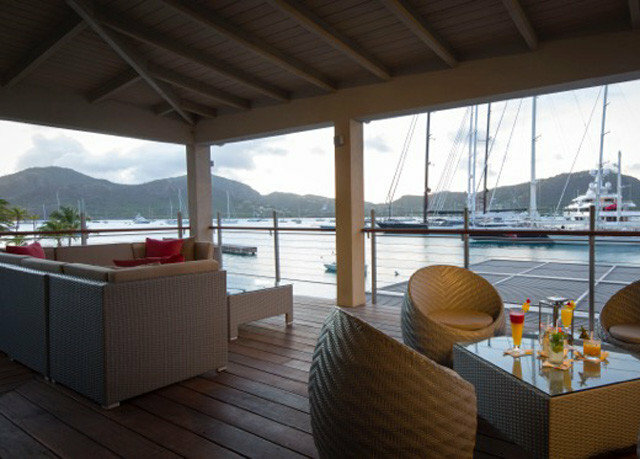 Each Thursday the resort offers a Jazzy Sunset Cruise, with live music and cocktails on a catamaran. 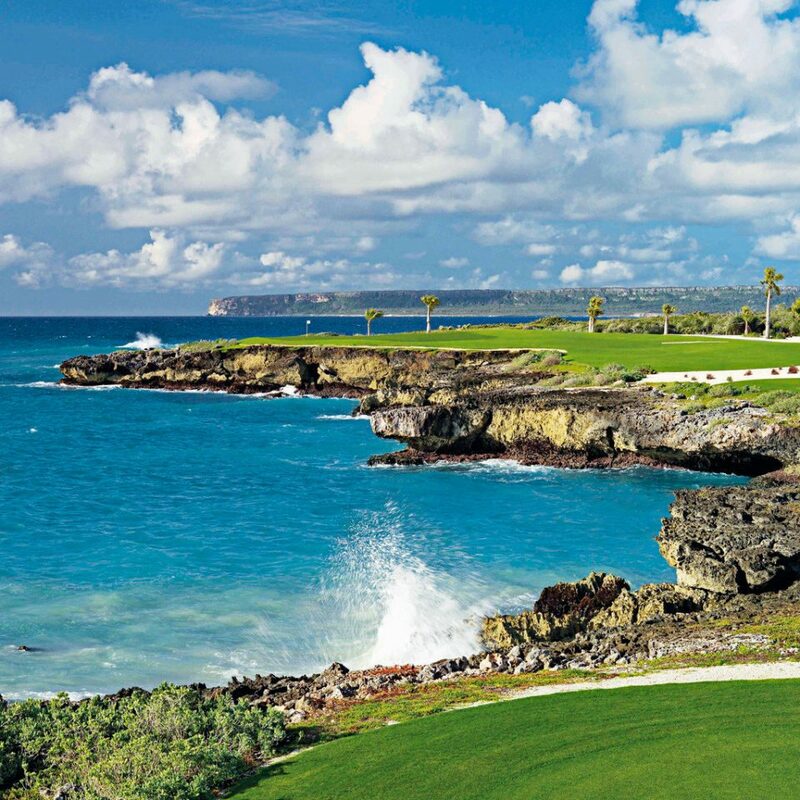 Active types can dive via the resort’s five-star scuba center or rent mountain bikes to tackle the nearby hills. A short car ride away you’ll also find the Louis XIV Diamond Falls Botanical Gardens. Most visitors simply tour the lush grounds, but you can also opt for a soak in the thermal hot springs. Truly magical place. We were taken care of in a way that allowed us to take care of each other. What a perfect place to reconnect with your partner. The views are sensational. The food was the best we've ever tasted. The activities were fun and nurturing. We can't wait to go back. Lovely, lovely, lovely. If you ever imagined what heaven looks like, this is it. When we arrived, my husband and I were absolutely speechless. 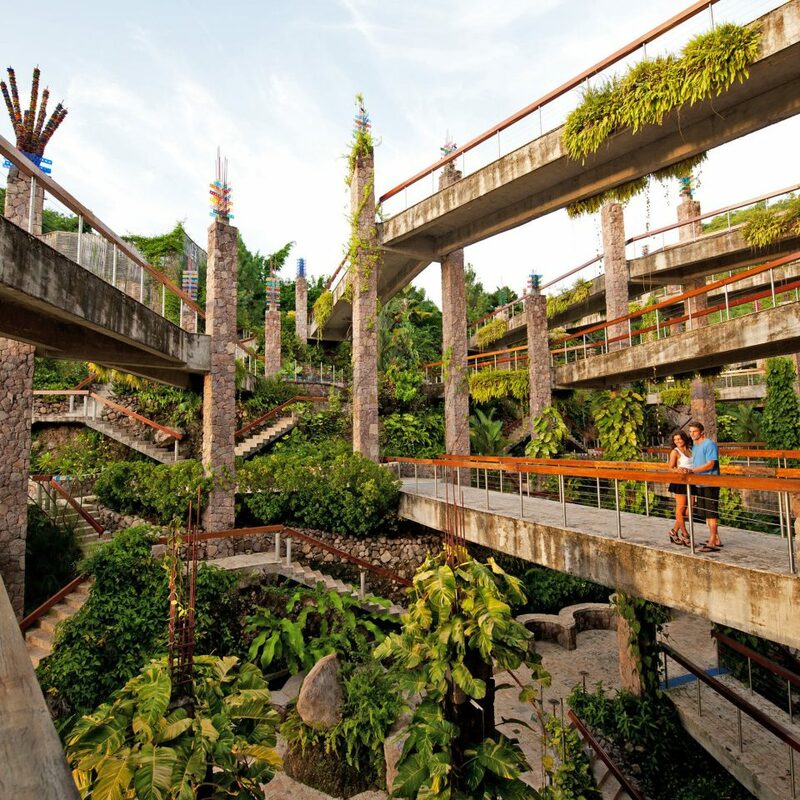 We had never seen a resort concept like this before. If you have ever picked up a postcard or seen those stunning photographs of the most tropical experiences, this is it. You are literally living inside a picture postcard. Every one of your senses is exposed. 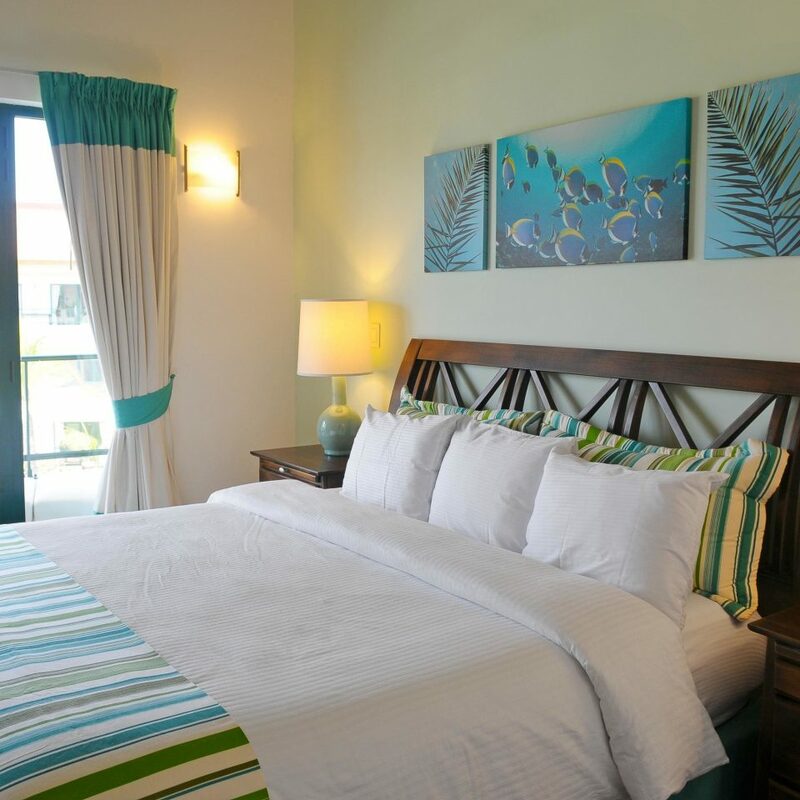 Each night you fall asleep with the most exotic sounds of the island and wake up to the fresh smells of flowers. There are no windows - everything is open-air. The architecture is extraordinary. You cannot see or hear the other guests. It is designed in such a unique way so that your privacy is fully respected. 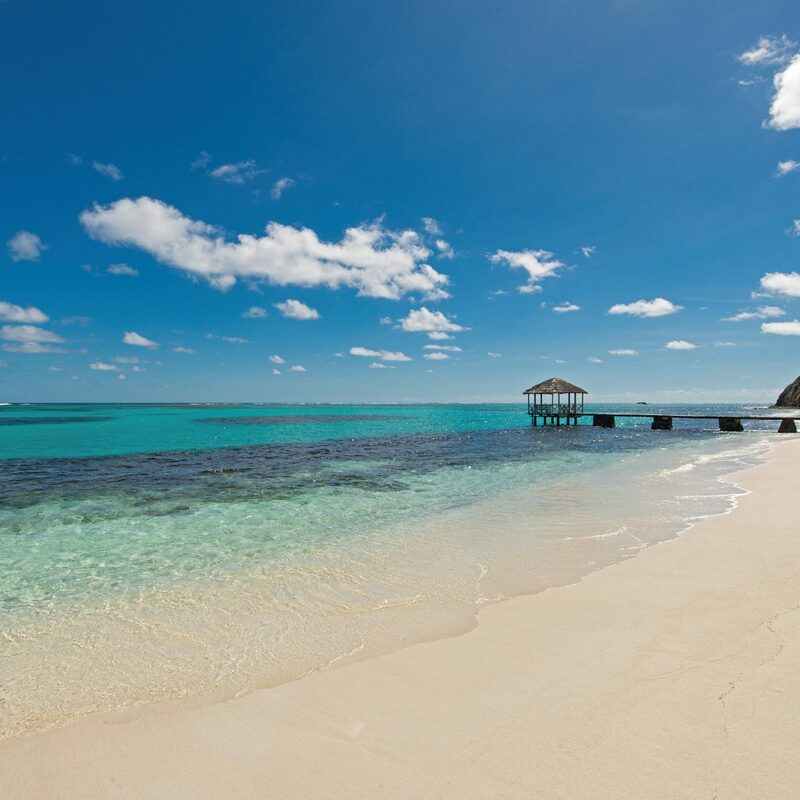 There is a separate private beach that is the ultimate level of luxury with amazing views and relaxation. The "butlers" are so accommodating. With one quick conversation, they organized a morning day-trip for us with a personalized guide. Then, when we were late getting our dinner reservation for the Jade Club, our butler called the manager to make an exception for our last night stay. Truly a breath-taking/bucklet list experience. An experience like none other. When you arrive you are shown to your "sanctuary". 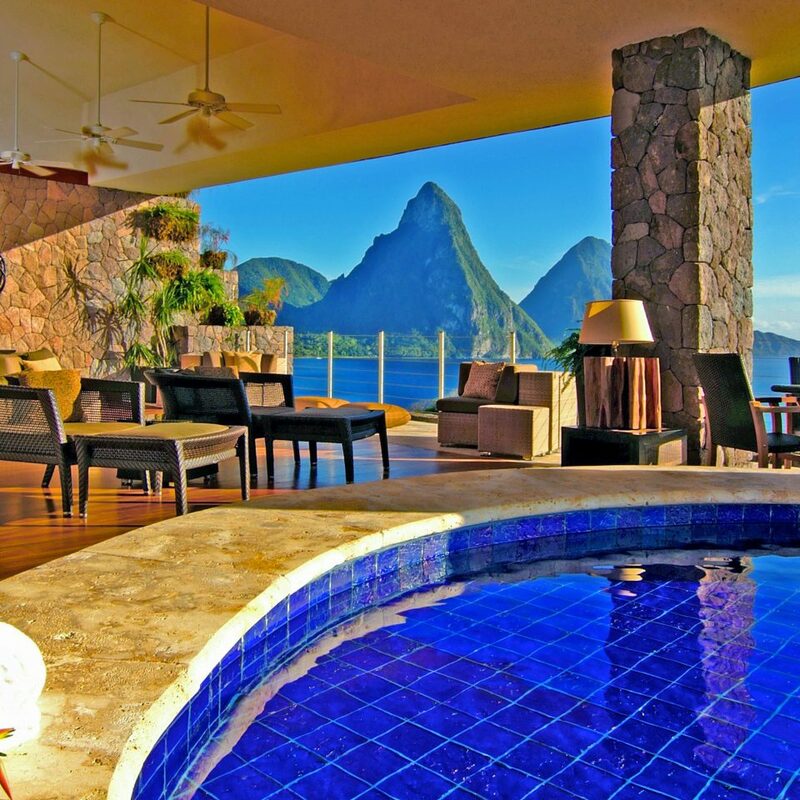 There is no front wall, you immediately see the pitons and the stunning view. Your pool is in your suite and the rooms are huge. Whatever pictures you see can't do it justice. You literally do not have to leave your room the entire time you are there. Sleeping essentially outside was great. There is netting around your four poster bed. You receive your phone to contact your major domo if you need anything. Allain and Filimina were our main domos and they were attentive, professional and always smiling. I had a small allergic reaction and Filimena took complete care of me even though it was late at night. The housekeeping staff is friendly and thorough. Shout out to Sandra who is super cute.We ate breakfast in our room every day. The food is delicious. We had dinner mostly at the Jade Mountain Club which is perched on the top of the resort. All the servers are extremely attentive and there is live music each night. 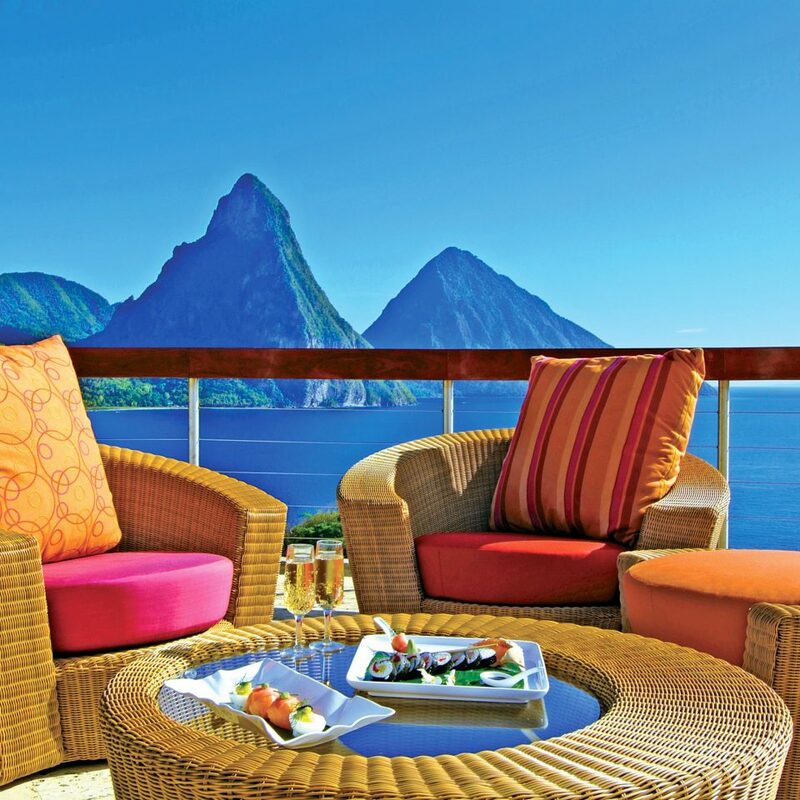 Can't get more romantic than dinner at the top of the resort with beautiful sunsets and skies filled with stars. 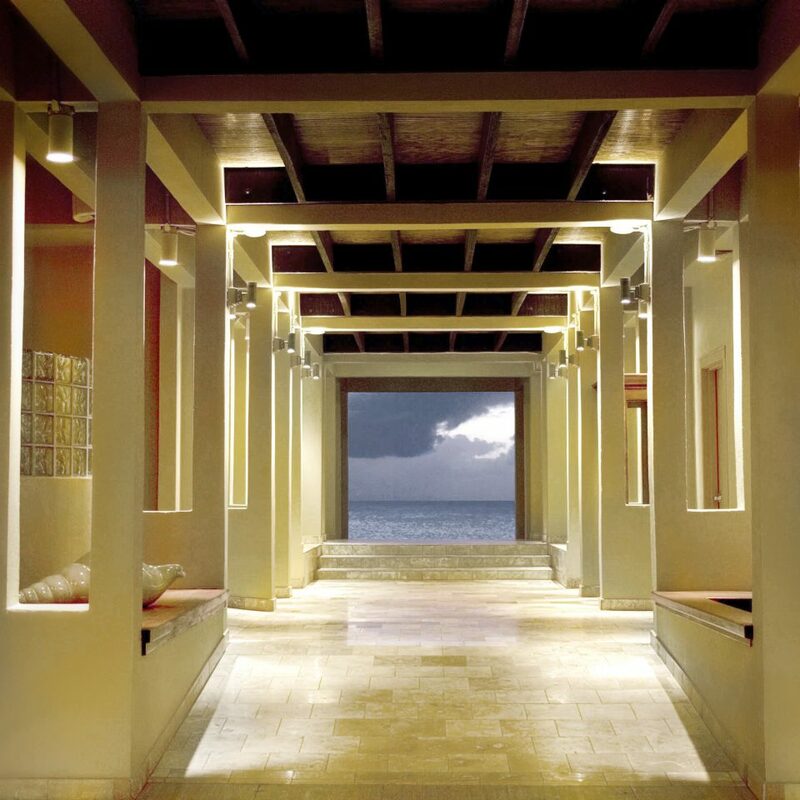 The resort itself is all walkways and mosaics. If you do leave your room, there are two great beaches. I went to the beginner's scuba diving on the beach. So patient! There are so may romantic details. One night we found our bed decorated in rose petals and the next night we came back from dinner to find a bubble bath and rose petals all around. We had a couples massage in our sanctuary. We both thought our massage therapists were amazing. We went for our honeymoon 8 years ago and returned for our anniversary. Will be waiting for our next visit. Sanctuaries are epic. Service is legendary. Menu in restaurant changes nightly. Food was impeccable, cannot wait to go back. The view is just something that is inexplainable. It is the most romantic vacation ever. What a beautiful, unique hotel. I LOVE that I barely saw any other guests while there. I also LOVED THE FACT that they don't allow CHILDREN in that hotel either! The staff was unlike any other Ive encountered anywhere in the world! SO eager to please in any and every way! And we did take them up on their offers of any requests and they came through every time! My husband asked to take pictures in the restaurant pool area and they said as soon as the last lunch guests leave we have the restaurant to ourselves! We were there for TWO hours taking pictures! None of the staff stared or ogled either! SO polite were these men and professional! My only complaint is there is no door on the bathroom so it was quite hectic when I needed to go to the bathroom while my husband was so close by with NO door! Also, while in the shower the wind came through the room and FROZE me while I was shaving my legs no less! Meaning I was shaving GOOSEBUMPS! Gross! I examined the possibility of adding a sliding door and it's totally feasable! I don't know why they don't add it. And I paid a fortune for a blow out at the salon and the 2 women working there knew absolutely noting about hair! I am a model and my hair is a big part of my income. After washing my hair she barely blew it dry before using a HOT IRON ON damp hair! MY HAIR STARTED TO SIZZLE AND SMOKE SO I put a stop to that insanity right quick and thanked her kindly and ran out of there! Terrible hair stylists! I still would stay here again and again. And the food in the restaurant upstairs was OUT OF THIS WORLD!! !